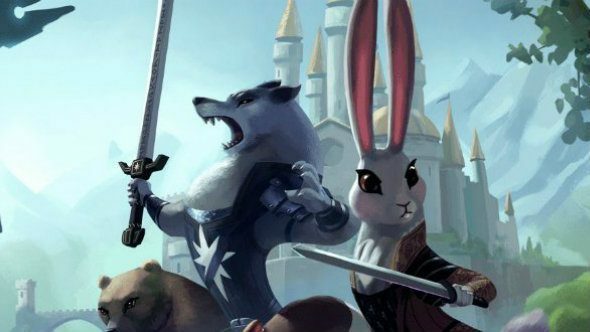 GOG have opened up refunds for anyone who owns fluffy animal strategy game Armello on the digital distribution platform. This follows a recent wave of controversy linked to the developer’s decision to abandon the GOG version and only update the Steam edition. There are plenty of good old games in our list of classics. As for the actual reasoning, Kusters points at a technical issue, though he never lays out exactly what that is. We’ve reached out to the team to clarify, but for now here’s the quote from that Steam post: “Just because another studio or game has DLC on DRM Free, doesn’t mean it’s immediately a possibility for us or Armello,” Kusters explained. “Assuming as much is incredibly naive. Every team’s processes, resources, and games are innumerably different. “Almost every single piece of conjecture about ways we could have or should roll out our DLC on DRM Free have either been wildly off course or avenues we’ve already investigated. Reading between the lines there, it sounds like perhaps it’s just not cost effective to do it for GOG. No doubt there will be far fewer players when compared to Steam. Either way, GOG have reacted to the overwhelmingly negative reaction to this decision, telling their customers to contact customer support if they’re not satisfied with the game. It might be a year after release, but people are arguing that at the time of purchasing they didn’t know it would be an unsupported, inferior version, with the game now even relabelled to Armello: DRM-Free Edition on GOG.